UNITED METHODISTS speak many languages, live in many countries with many different cultures, ethnic traditions, national histories and understandings of Christian faith and practice. WE ARE people dedicated to a life of participation, personal responsibility, generosity, sacrifice and self restraint, responding to the call of Jesus Christ. WE ARE a covenant community, concerned about God’s children everywhere. In life’s clouds of doubt and division, we see the sunlight of God’s purpose bringing healing, harmony and hope. WE LOVE WORSHIP, study of God’s Word, music, potluck dinners and a sense of community, a sense of belonging. WE WELCOME PEOPLE of faith into our churches, and especially people who are searching for answers to life’s tough questions, because we know what it’s like to feel alone, unsure, to need a welcoming place with open hearts, open minds, open doors. WE ROLL up our sleeves and say, “Let’s get to work,” as we answer the call of making disciples for Jesus Christ. WE LIVE the promise we made the day we joined The United Methodist Church — the promise of our prayers, our presence, our gifts, and our service. When you join a United Methodist congregation, you become a member of the United Methodist connection — a covenant community dedicated to making disciples for Jesus Christ. All persons are welcome in The United Methodist Church with open hearts, open minds and open doors. Celebrating a diversity of people, ideas and cultures, we are enriched by our history. The United Methodist Church was formed with the merger of the Methodist Church and the Evangelical United Brethren Church in 1968. United Methodists trace their spiritual heritage back to 18th-century evangelical leaders John and Charles Wesley, Jacob Albright, and Philip William Otterbein. United Methodists trust free inquiry into matters of Christian doctrine. Our faith is guided by scripture, tradition, experience and reason. Of paramount importance is scripture. For United Methodists, the Bible is the record of God’s people living out God’s promises. Today The United Methodist Church continues its robust evangelical heritage. Each congregation is a vigorous center of biblical study and evangelical outreach. And each con­gregation is linked in a covenant community of faith across the connected congregations. United Methodists have believed, from the beginning, that each of us is called to participate in the outreaching ministry of Jesus Christ. John Wesley and our evan­gelical forbearers saw our work in the simplest, plainest terms— Do all the good you can, in all the places you can, to all the people you can. We support worldwide ecumenical and educational ministries. For generations, United Methodists have cooperated with other churches to spread the gospel, care for those in need, alleviate injustice and foster peace around the world. We reach our own churches and communities to share God’s love with people of many faiths. For more than 200 years, The United Methodist Church and its predecessors have worked to help the poor, the sick, the orphaned, the aging, the oppressed and the imprisoned. Our church participates in the struggles of women, people with physical and mental challenges, and racial and ethnic minority persons, helping them to attain equity and equality in the church and in society through responsible social action. 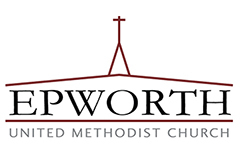 United Methodism took form as an organized church as a new republic took form in America. The 1700s was a century of remarkable promise for freedom-loving people everywhere. The church’s structures parallel those of an entirely new kind of government-for the people, by the people. Church leading is shared by legislative, executive and judicial branches. The highest legislative body, the only unit that can speak for the church, is the General Conference, an assembly that meets every four years to chart the future missions and ministries of the church. It is composed of delegates, equal numbers of laity and clergy, elected by annual conferences throughout the United States and around the world. Annual conferences respond to the missional needs of their regions by developing programs and ministries that carry out the work of Christ.